Here is such a translation. There are still “Star infantry”, “Space Marines” and “Soldiers of space”. Hello dear readers and subscribers of Blog about fantasy and fiction! 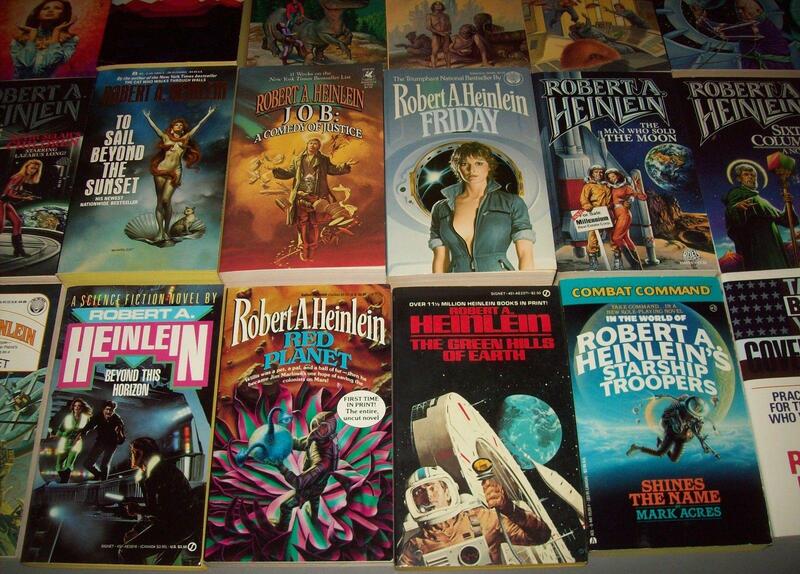 Today we have a very interesting, meaningful and iconic work “starship troopers” Robert Heinlein, 1959. Genres: hard science fiction, social fiction, Thriller. I see it something like that. In 1960, the novel won a Hugo award. There were several film adaptations, including Japanese 1988. But when talking about the film “starship troopers”, have in mind the picture of 1997, the year of Paul Verhoeven. The film has so little to do with the book that this release is devoted exclusively to the book I have nothing to say it will not. But in the future wait for the review. In the film, for example, one of the key prophecies of Robert Heinlein in the science fiction, which is described in detail in the book, and is now called the exoskeleton. Let us slowly proceed to the analysis of the book. About the plot I will tell you quite a bit – first, I will not spoil for those who have not read, and secondly, the story is not on the first cast. More talk about the book’s contents. The protagonist of the book a young man named Johnny. He finished school and looking for your further life. On the one hand, everything is clear. Higher education and need to join his father’s business. The family is provided, and the future seems bright. But Johnny goes on about their feelings and fleeting impressions, and recorded in the army with his friends. So spontaneously, or is it a decision he has yet and needed only a weak pink? Everyone decides for himself. Johnny is determined in the infantry, begins the real hell, and part of the book that many readers call the best in the entire work. The youth hardened drill Sergeant. I don’t agree. Here in the movie “full Metal jacket” Kubrick first half of the film dedicated to a rigid drill and torture were indeed the best, here the same idea in another. Johnny have a long way to participate in combat emissions, to feel what combat brotherhood and camaraderie, to realize the value of life and the responsibility that now laid on his shoulders. He will grow up and become a real man. You are invited to follow this metamorphosis over a short novel by Heinlein, and do read about their findings. But before I let you have something to tell you. Of course, the most contentious and controversial part of “starship troopers” is a war component of the book. Many people find this kind of unhealthy component. And owing to a lively imagination, I can understand where such thoughts. This is especially true of Verhoeven’s film. That’s where this propaganda is, in my opinion, there really is. But! This is not a glorification of militarism as you might think. In the book, at least. Militarism here is a tool to identify people capable of competent and dedicated to serve his country, not caring about personal interests. Care about society, not selfish interests. It is represented by a system under which only served get full (I would call them even more) the civil rights that allow them to elect and be elected to political office. Why this system works? Just because she’s in a long time, no failures. Instead, it can be any other system, if it will show better results. But while militarism works in the universe of “starship troopers” will use it. The book is not about the army, about choices and responsibility. Do not confuse a good visual surroundings with the main idea of the novel. To serve in the army and to obtain full civil rights there is the ritual of growing up personality, and instead agreed the army, can be anything, with the condition that the new ritual (the test) will prove its viability. How about this idea? It is possible to catch the dialogue between the lecturer from officer school and Johnny. 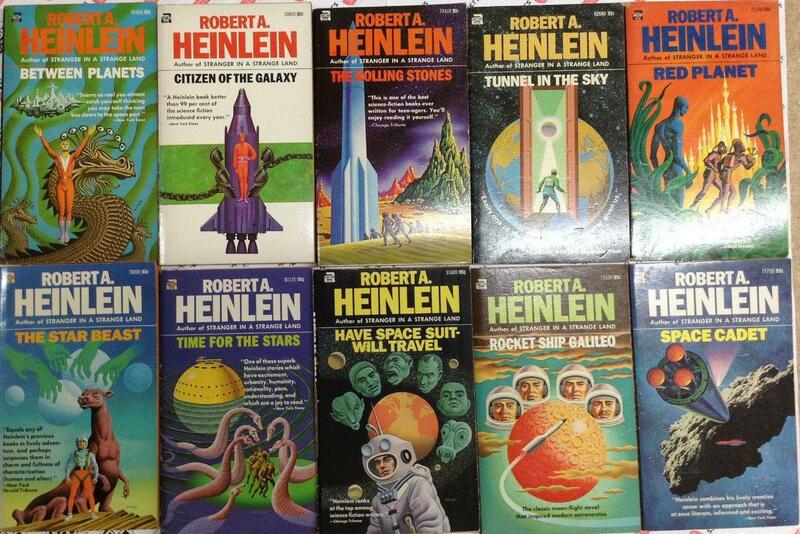 Today I took a work Heinlein so. They say that it should be reread every 10 years, and every time find something new. Maybe next time, get other life experience, I can see in the book something new. Despite the translation, where I read “starship troopers”, Heinlein is my favorite writer in the genre of SF, especially in regards to language and style. Clear sans text have sergeants, and those characters for whom it is appropriate, far more literary monologues from teachers in the school of officers and the excellent prose of the narrative. To read mandatory. There are different ways to treat moral philosophy Heinlein and this view of the structure of society, but you have to admit he was one of the key writers of his time in General. And one of the indisputable classics of SF, in particular. You should read the book that inspired many writers of the later period, and which is still perfectly readable. See you soon on the Blog about fantasy and fiction!